If you're launching a new business or crowdfunding campaign then it's always a smart move to engage in some pre-launch marketing activities to build excitement, capture an audience's attention and get the ball rolling before your official launch. With a strong pre-launch campaign you will be able to gain awareness, build a mailing list, grow your online following, generate buzz and even make some pre-sales, all of which is hugely beneficial to your official launch. In this guide we'll take you through exactly how you can use Gleam's suite of apps to run highly effective pre-launch campaigns that will get your business off to a running start. When your business is in the pre-launch phase not a lot of people will be aware of your new venture. A sure-fire way to capture attention and raise awareness is by running an engaging giveaway and offering up your own product to winners. Gleam's Competitions app allows you to create your own highly effective giveaways that will engage your audience and drive a host of powerful, relevant actions including email signups, social media interaction, website visits and much more. We even offer integrations for Kickstarter and Indiegogo which are perfect if you're launching a crowdfunding campaign. If you have an informational or promotional video which you want your target audience to see then you should allow users to watch it as an entry method. If ypur pre-launch product is your campaign's prize, you can feature a video from YouTube, Vimeo, or Wistia at the top of your widget. The main goal of your pre-launch campaign is likely to gain awareness for your official launch, and building a sizeable mailing list is one of the best ways to do this. You can use your giveaway to build your mailing list with our Subscribe Action, and then use email marketing to engage your newly acquired audience and drive further action. Are you going to launch your product with a crowdfunding campaign? Start getting eyeballs on your campaign as early as possible with our Kickstarter and Indiegogo actions. In the lead up to your launch, it's important that you maintain a strong social presence online. Social media can provide you with a perfect platform for captivating your audience, promoting your offering and ultimately driving signups or sales. However, in order to really make the most of social media marketing you will need to accrue an online following and draw attention to your social activity. Gleam has a host of actions across across Facebook, Twitter, Instagram, Pinterest and more which are all fantastic for garnering online attention and bolstering your following. There plenty more powerful social media actions you can incorporate into your campaign, including a few we want to draw particularly close attention to. In addition to attracting visitors to your social media channels and growing your audience, you can use Gleam to encourage users to become much more actively involved in your social marketing with Tweets and Retweets. Or send out a Tweet of their own which promotes your brand or giveaway. Both of these actions are terrific ways to gain exposure from a new audience and promote your launch in an engaging and authentic manner which people are highly likely to take notice of. If you want your giveaway to gain viral traction and reach hordes of interested users then you should be using Gleam to incentivise referrals. Using the Viral Share Action you can award extra entries to users who refer other entrants. This can create a viral loop effect which will exponentially increase your marketing reach. Viral Share links can be shared across, email, SMS, Twitter, Facebook and more, with users earning additional entries for each successful referral across any platform. Viral Share Links even come with Bit.ly integration so you can keep track of your performance. The weeks or months leading up to your official launch are a great time to leverage your burgeoning awareness to gain some more insight into your target audience. You can use your giveaway to ask your audience questions which will help you gain a greater understanding of how your market views your product, which can help you shape future marketing efforts and make any necessary tweaks to your offering. Or you can ask for some quick feedback or information with our Question Actions. As a general rule, when you're running a giveaway the best prize you can offer is your own product. If your final product isn't quite ready you can simply stipulate that the prize won't be available until a certain date. When you give away your own product you will be able to attract entrants who are highly interested in your product and brand, making them a perfect audience to launch to. If you have a subscription-based product or service it's a good idea to offer a free subscription for your new product. The length of the free subscription is completely up to you - it all depends on how much you want to give away. 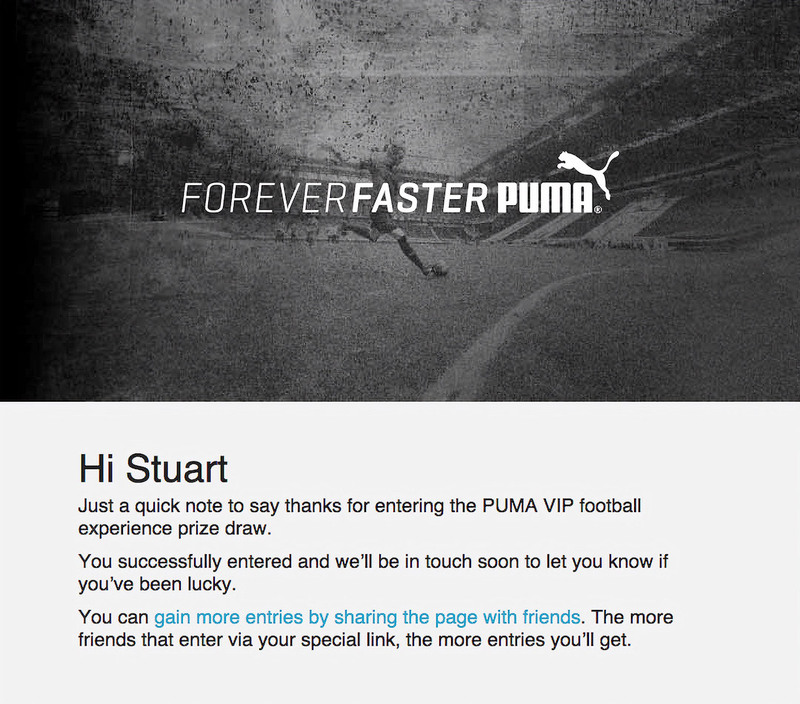 Secondly, you will be able to drive users looking to enter your giveaway to your own website. This is a great way to showcase everything your website has to offer including your products, content and anything else. You may even be able to drive some immediate pre-sales. Gleam automatically creates responsive Hosted Landing Pages for all campaigns, so if you haven't got a website up and running yet you can simply send traffic to your giveaway's stylish landing page and have users enter from there. Landing Page Customisation is available to users on Pro plan and above. When you run a pre-launch giveaway you want to run it at least a few months before you launch. This will give you enough time to gain traction and drive signups, follows and other actions. The caveat of this is that you don't want to run your giveaway too early. If your product won't be launching for a long time it will be much harder for you to build hype and get people excited about your launch. Running your campaign 2-4 months before you release your product should give you sufficient time to gain traction and drive action whilst maintaining a sense of immediacy and excitement. 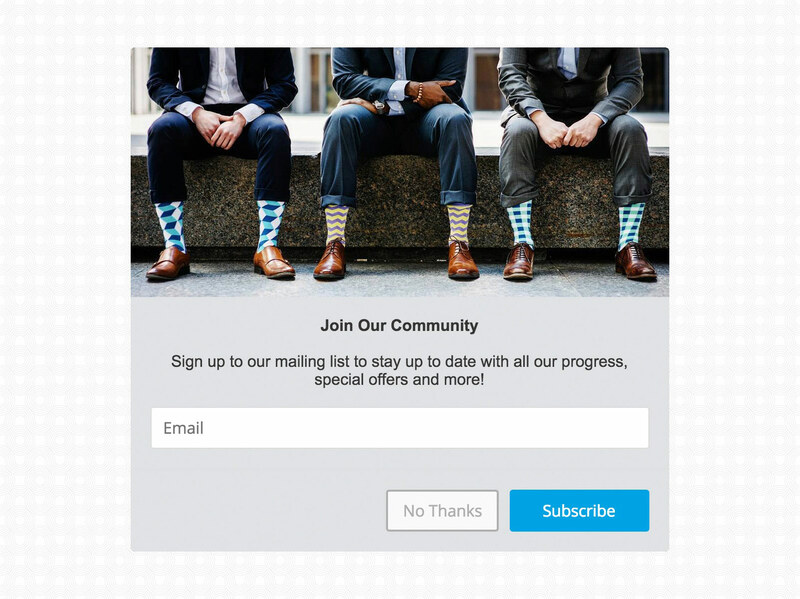 Our customer, Flyte Socks, ran a pre-launch campaign 3 months before they launched on Kickstarter which gave them enough time to attract attention, drive entries and ultimately exceed their crowdfunding goals by a wide margin. If you want your giveaway to maximise entries then it's important that you make it as eye catching and appealing as possible. The best way to do this is by including high-quality photos of your product/prize. 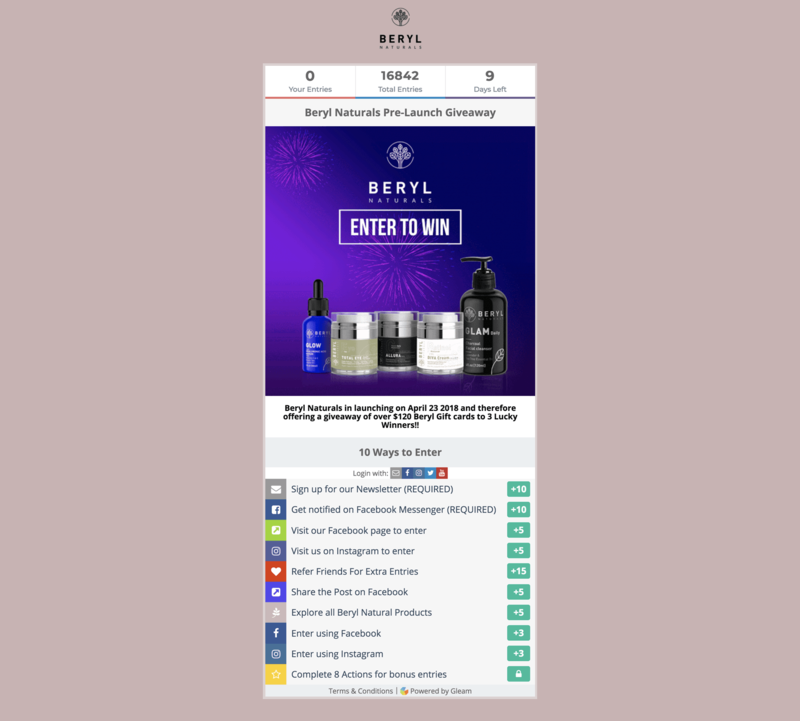 Our Competitions widget allows you to upload up to 4 photos so you can use a single attention-grabbing photo or create a slideshow of your product. This is a great way to show off your product, introduce users to your brand and make entry a lot more enticing. Slider for multiple featured images are available to users on Business plan and above. 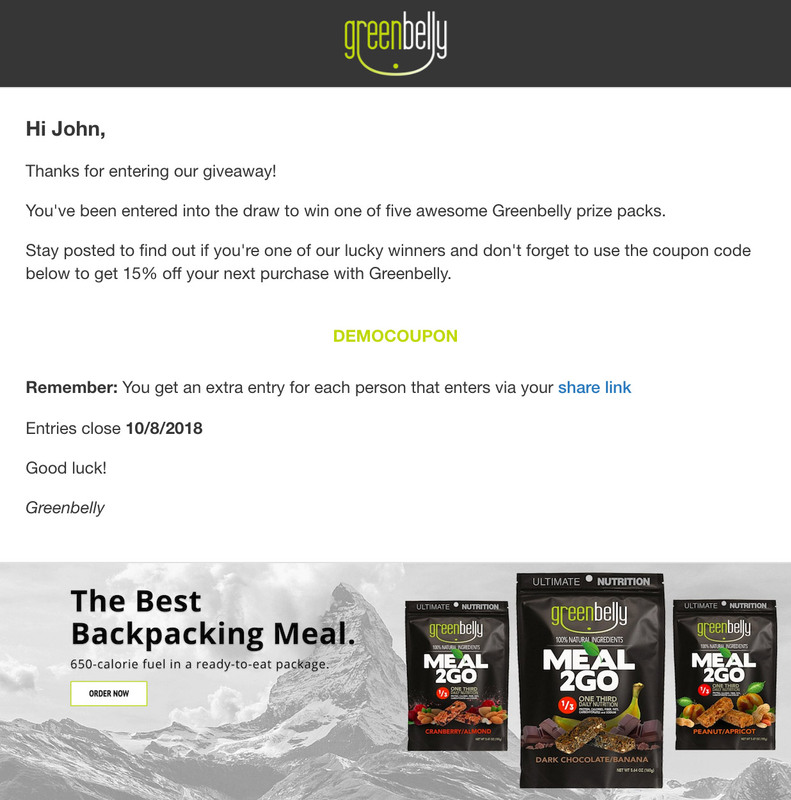 The text used to describe your giveaway can be just as important as the imagery. You should be using your description to encourage entry, and the best way to do this is by promoting your prize, which should also be the product you are launching. If you want to maximise the effectiveness of your giveaway then you need to expose it to as many people as you can. A particularly effective way to do this is by posting about, and linking to, your campaign from all of your social media platforms. This will ensure that all your followers know about the campaign and help you expose your campaign to a new audience via likes, shares, comments and organic traffic. A great way to use social media to promote both your product and giveaway is by introducing your product with engaging posts. Subtle posts which spark curiosity and build hype are highly effective, and anything you can do to generate discussion around your launch is always a good move. If you already have a following on your social platforms, make sure you put them to good use by reminding your followers that you're hosting a giveaway, and remember to provide instructions so your followers know how to enter your campaign once they see your post. Sometimes all users need is a little reminder and a gentle push to take action. Don't forget to send out reminders via social media and your mailing list. You can also drive further action from existing users by using post-entry emails to let them know what they can do to earn more entries. Make sure to also remind entrants what the prizes are so they are incentivised to take further action. Once you've run your own giveaway you'll be left with a bolstered mailing list, a strong social media following and whole lot of interest surrounding your launch. At this point you will need to think about how you can retain your audience and convert them into customers. A fantastic way to further incentivise entry into your giveaway and drive pre-sales is by offering coupon codes for pre-sale discounts to everyone who enters your campaign. With Gleam, giving out coupon codes to Competition entrants is an easy task. All you need to do is create a custom post-entry email containing a universal coupon code which all giveaway entrants can use to make a discounted purchase. Once your giveaway has ended it's important that you wrap up the campaign and announce the winner. If you want to get as much engagement as possible from your campaign's conclusion you can use your winner announcement email to offer a discount code to all the entrants who didn't win. This is a superb way to reward the entrants who weren't lucky enough to win and drive further action! If you want to make your discounted offering more public and drive action from people who may not have entered the giveaway then you can use social media posts to announce and share your discount codes. In the aftermath of your giveaway, interest in your brand should be at a high point. It's crucial that you capitalize on this heightened attention by continuing to engage your expanded audience across your social media channels. This will help you promote your offering and drive sales or sign-ups. If your giveaway was well-received then you will have just earned yourself a highly engaged community of fans! Reward your customer base regularly with flash sales once your product has launched or run some post-launch giveaways to drive growth. Gleam makes it so easy to set up a campaign that you may as well run them on a regular basis. 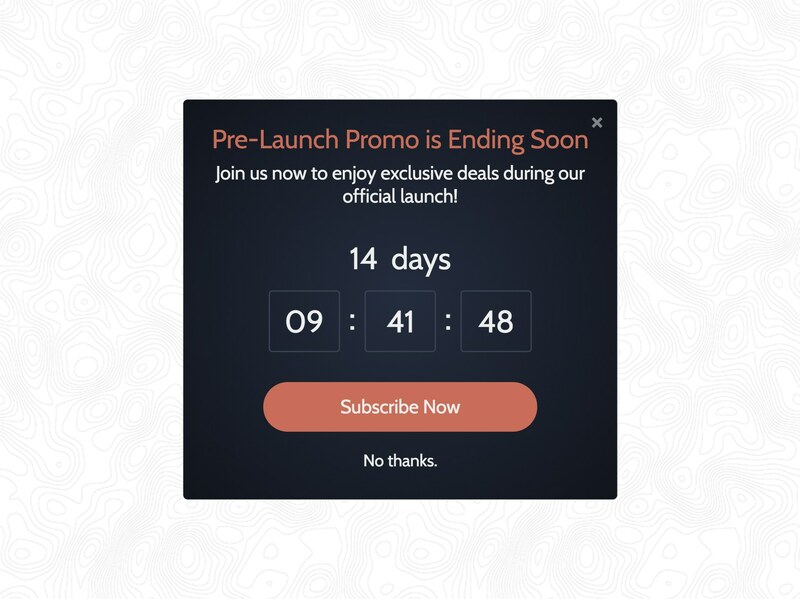 A great way to make sure your launch is a success is by driving pre-sales with a special pre-launch discounted offering. Offering a pre-sale discount is a fantastic way to make some immediate sales while also raising awareness, generating buzz and kicking off the spread of word of mouth marketing. When you use Gleam's Rewards app to offer your pre-launch coupon codes you won't only be able to drive pre-sales, you'll also be able to drive a host of other powerful actions by gating your coupon code behind designated redemption methods. When you run a Rewards campaign to aid your pre-launch promotional efforts it's a good idea to incentivise similar actions to those we suggested you use as giveaway entry methods. In this demo we have allowed users to unlock their reward after completing a single action, but you can gate your coupons behind as many actions as you wish. Just remember not to make the entry barriers too high or you will run the risk of reducing participation. Share your Rewards campaign with all of your email subscribers. Post your Rewards campaign across all social media channels you are active on. Embed the campaign on your website so all of your visitors are encouraged to enter. 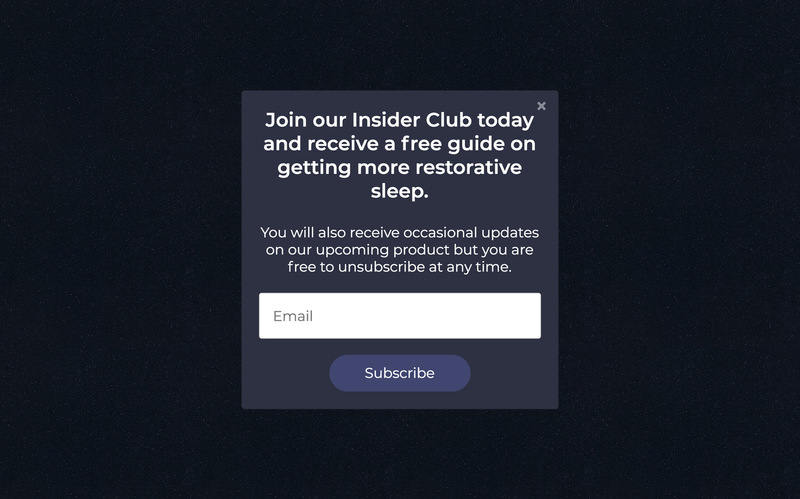 It can be a particularly good idea to install your campaign in a popup tab. Check out our other tips & tricks for promoting a campaign. One of the greatest challenges pre-launch brands face is finding a relevant and sizeable audience that will have an interest in their product or service. One outstanding way to tackle this problem is by partnering up with another brand or an influencer within your niche and running a joint campaign. This is a great way to expose your campaign (and brand) to a large pool of highly relevant users who are likely to take an interest in what you do, help grow your audience and potentially become future customers. Partnering up with the right influencer can introduce you to huge new audiences who are a perfect match for your new product or service. With the rise of influencer marketing and the importance of word-of-mouth recommendations, there's no excuse for not partnering up with someone of influence to get your product out in the market. During the pre-launch phase, you need to identify your target audience and align that with the right micro-influencer. With the abundance of influencers on platforms like Instagram or YouTube, it's important to make sure that you're partnering with influencers who are strongly aligned with your brand. This will maximise your chances of engaging their followers and converting them into customers. Partnering up with an influencer to run a giveaway which incentivises actions beneficial to both parties is a great way to expose your brand to a highly targeted audience. You get access to the influencer's sizeable audience and they get to use your prize to drive actions which matter to them, so it really is a win-win situation. If you do run this type of campaign it's a great idea to host the campaign on your own website. This will drive the influencer's audience to your website and help you promote your offering and make a lasting impression on visitors. You don't have to run a joint campaign in order to take advantage of the power of influencer marketing. 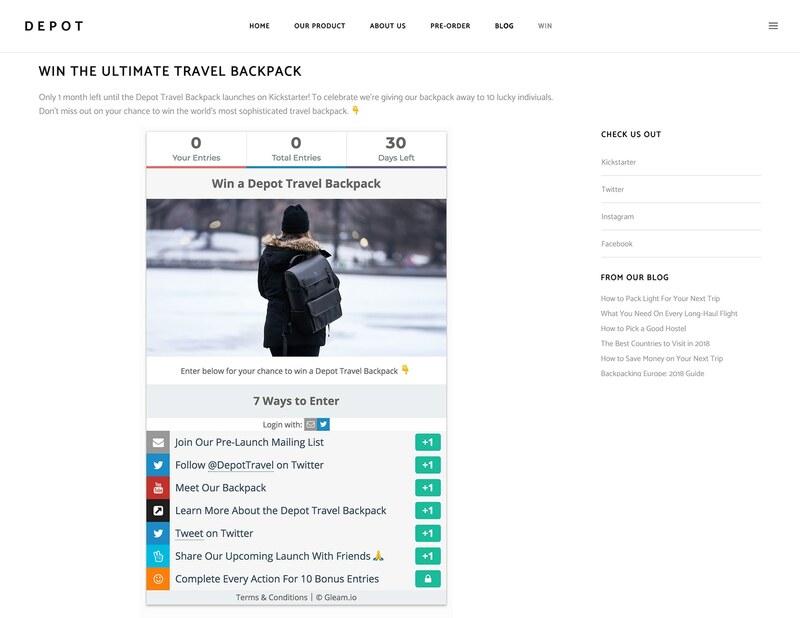 You can also create your own Giveaway or Rewards Campaign and reach out to influencers for promotion. You can offer cash, your own product and the exciting content that comes with a campaign in exchange for their promotion. 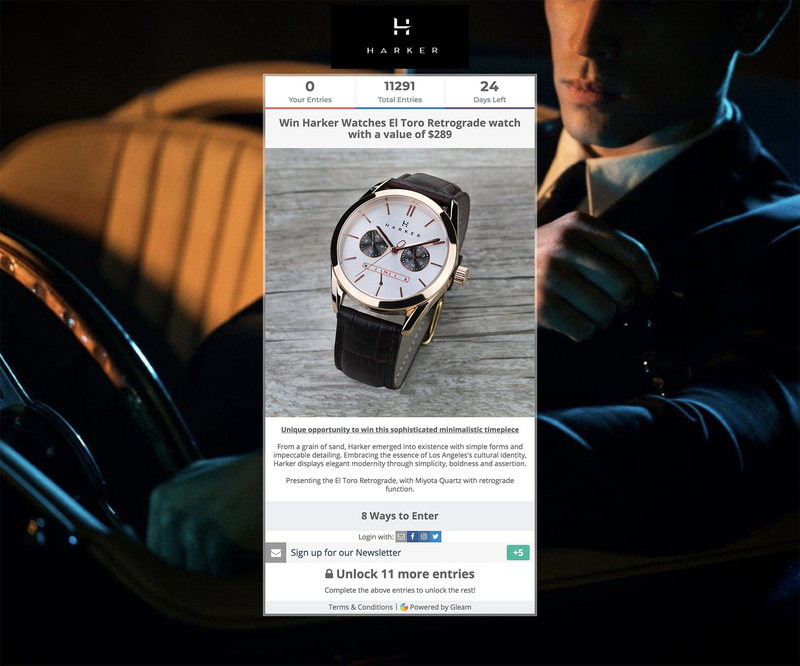 Rewards campaigns can be particularly enticing for influencers as it allows them to provide their audience with tangible value in the form of discounts. When you find an influencer to help promote your campaign you can get them to link off to your campaign from their YouTube videos, blog, or anywhere else. This may involve linking off to your own website or one of our hosted landing page. If the influencer you partner with has their own blog, you can even ask them to write up a post about your campaign and embed the campaign within the post itself. Learn about finding and partnering with influencers to run Gleam campaigns and expand your audience. Partnering up with established brands in your niche to run a joint campaign is an outstanding pre-launch tactic which will help you gain exposure from a sizeable and relevant audience. By partnering up with other brands you will also be able to grow your prize pool and make entry more enticing without having to endure any additional expenses of your own. Our customer, Flyte Socks, had terrific success when they partnered with 3 other brands in the same niche and gave away a huge prize pool as part of a giveaway which promoted all three brands. By partnering with other brands, Flyte Socks were able to tap into their partner's massive audience and establish themselves as a trustworthy brand who belongs side by side with their esteemed partners. If you decide to partner up with other brands it's important that you choose brands within your niche that offer complementary products. This is the best way to ensure you will reach a relevant audience. You also need to make sure you aren't partnering up with competitors. If you partner up with a brand offering a competing product you will cannibalise the effects of your campaign, and as a brand still in the pre-launch phase it will be hard to compete with more established businesses. A great way to build hype and generate some FOMO is by offering up a limited amount of early access, discounted or special edition products and using a pre-sale ballot to determine who gets the right to purchase them. If you use Gleam's Competitions app then you can use pre-sale ballots to not only make sales but also drive a series of other useful actions. You can create a simple ballot where entrants can sign up with their email address to enter the ballot like the demo we've created below. Just remember to let your entrants know they are subscribing to a newsletter or mailing list! This type of ballot is best if you want to focus on generating hype, growing your mailing list and driving pre-sales. Your prize will be the opportunity to make a pre-order, so ensure that the number of winners you select is equal to the amount of pre-orders you want to offer. Once the campaign has ended, email all winners a link to where they can submit their pre-order. If you want to use your ballot to drive some promotional actions then it's a good idea to run a ballot contest where users can complete a wide variety of actions with their chances of winning increasing with every action they complete. One of the most important aspects of pre-launch marketing is collecting emails. Email marketing is one of the most powerful tools you can use to connect with your early adopters and potential customers to make announcements and drive sales, so it's crucial that you build a mailing list. A great way to do this is by creating an appealing opt-in form to convert website visitors into leads. Gleam's Capture app is the best way to drive email signups from within your website. 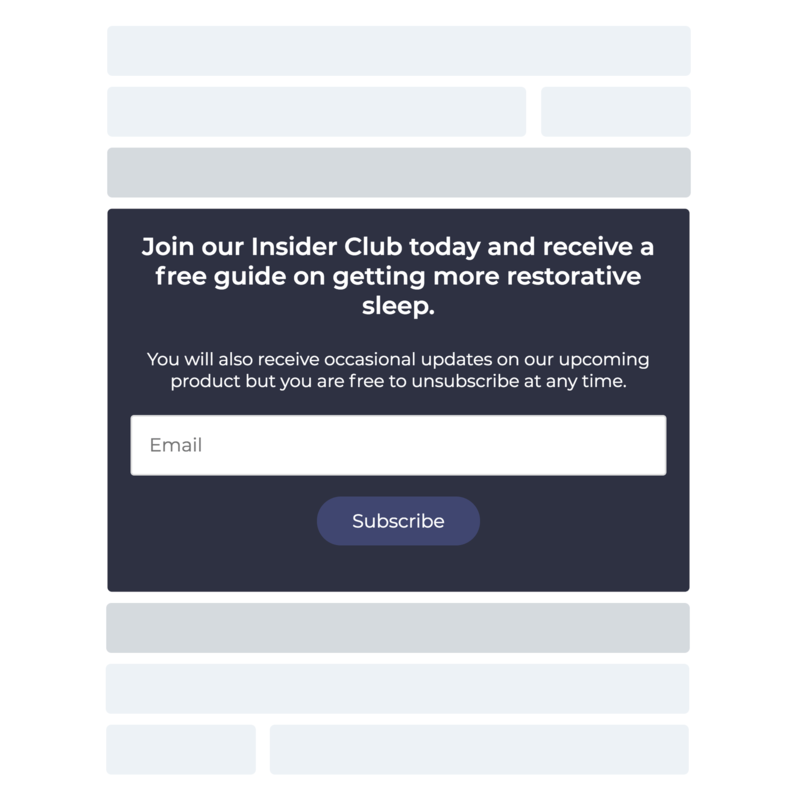 With Gleam's behavioural rules you can create highly targeted popups and opt-in forms that will reach the right people and at the right time. If you want to give users some extra incentive to sign up then you should consider using a Coupon Capture to offer pre-sale discounts to users who join your mailing list. This will not only give visitors more reason to subscribe, but it will also make your offering more attractive and help you drive sales. If you are engaging in content marketing, chances are you'll want to funnel your readers into your pre-launch mailing list while they enjoy your content. Consider offering some bonus content as an incentive and drive email signups from within your blog, or wherever else your content is available. Capture comes with an Embeddable template so you can easily insert one into your blog posts. It's also highly customisable with our editor so you never have to worry about it sticking out like a sore thumb. 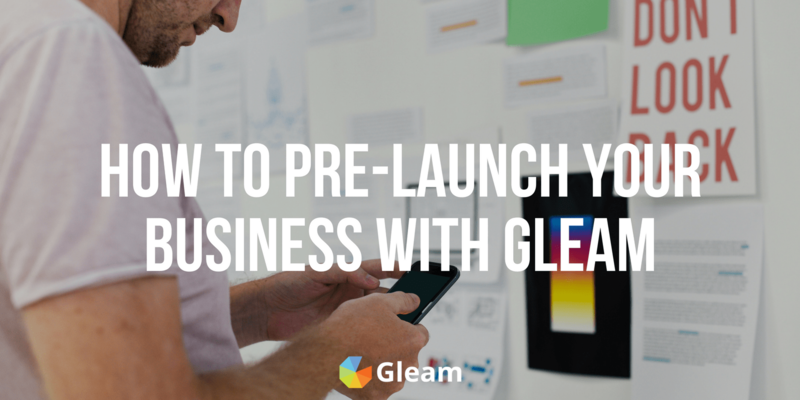 Ready To Pre-Launch Your Business With Gleam?